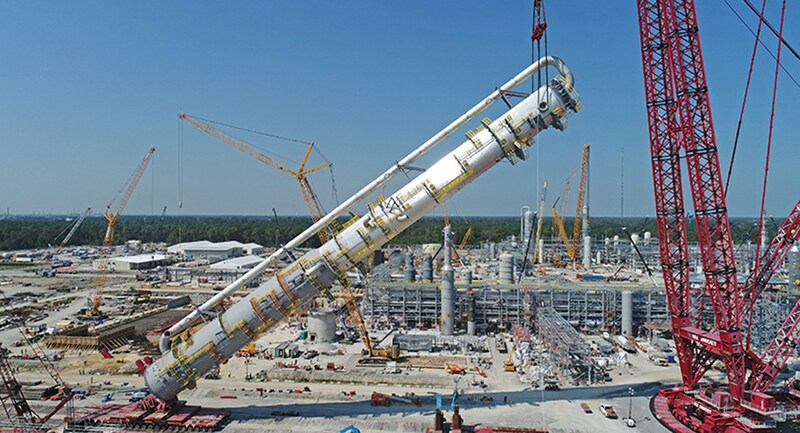 Mammoet’s PTC-200-DS ringer crane lifted a 350′ wash tower at Lotte Chemical’s Ethylene Glycol project in Louisiana, USA. 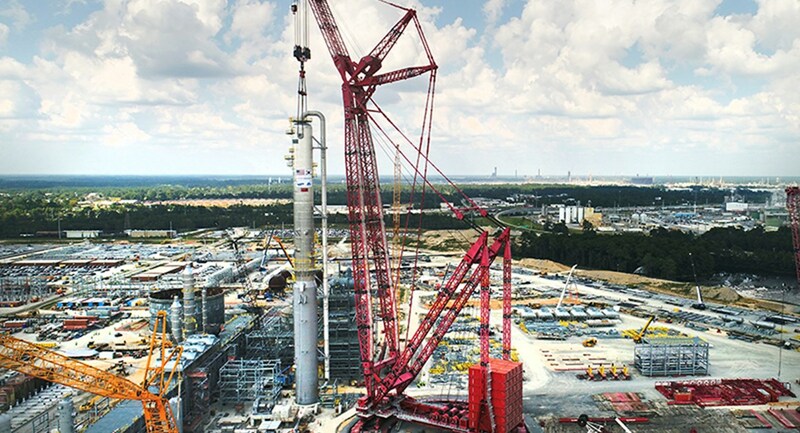 On a tight schedule, a result of severe weather delays, Mammoet safely and successfully executed the largest lift for Lotte Chemical’s Ethylene Glycol project in Louisiana, USA. On September 29th, Mammoet lifted the 350 foot long, over 3.5 million pound (1600Te) wash tower with the PTC 200 DS, the largest crane in Mammoet’s fleet. The head section was hoisted out of the saddle with the crane while the rear section was simultaneously lifted out of the saddle, aided by 60 axle-lines of SPMT with a tail frame. Once the wash tower was fully erected, the vessel traveled 442 feet (135m) to its foundation. The entire process took 3.5 hours. With this lift complete, the crane will be reconfigured adding another 220 feet (67m). This will bring the total reach of the PTC to 713 feet (217m), just under two-and-a-half times as tall as The Statue of Liberty. 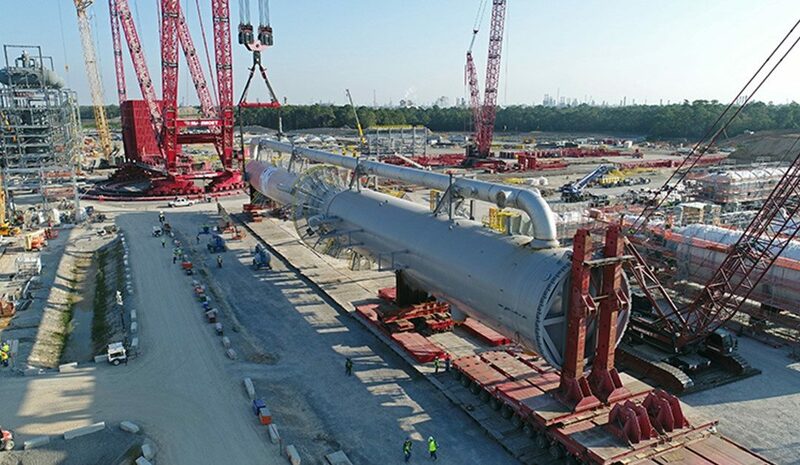 This will significantly contribute to project efficiency as it allows the crane to remain in its current location while still being able to reach modules located further away.